I own a Samsung Galaxy S2 (GT I9100) and few days back one of my friend bought a Samsung Galaxy S2 (GT I9100G). 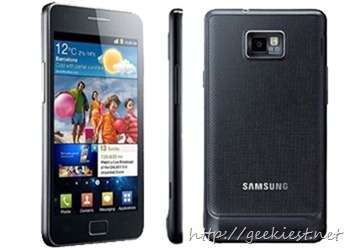 Samsung introduced the I9100G silently in to the indian markets due to the high demand for the Samsung Galaxy S2. The main difference between I9100 and I9100G is they have totally different Processors , I9100 have Exynos Processor while I9100G have OMAP 4430. Also the for graphics support I9100 have ARM Mali 400 MP GPU while I9100G have PowerVR SGX 540 at 304 GPU. 5. It is expected that all new updates (Like ICS Android 4.0) will be available for I9100 earlier than I9100G. 2. Find the difference and decide which phone you want to buy I9100 or I9100G.